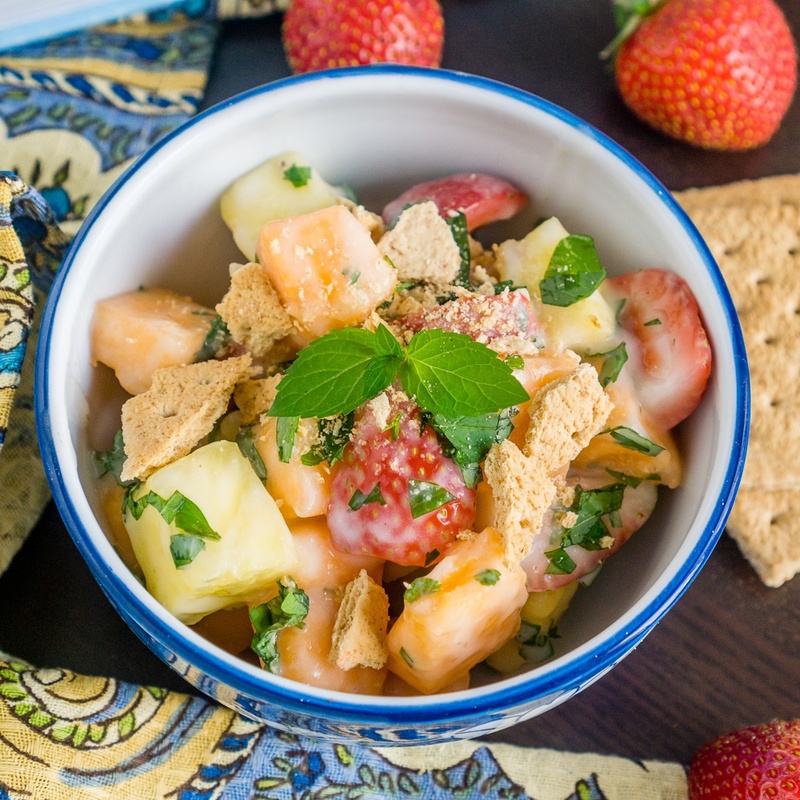 This vegan Creamy Fruit Salad with Key Lime Dressing is a family favorite - the secret is in the dressing and the crispy graham cracker crumble topping! In a large bowl, combine all the ingredients from the pinapple to the So Delicious Dairy Free® Key Lime yogurt alternative and mix well. To serve, scoop the fruit salad in a bowl and crush a graham cracker over the top.